The Democratic operative, who once tweeted “#BoycottFoxNews,” said she has softened her partisan stance and is excited to officially join the Fox News Channel as a contributor on Monday. Brazile exited CNN in October 2016 after leaked emails suggested she used her DNC position to pass information to Hillary Clinton’s presidential campaign about upcoming debate questions. But regardless of her past controversial stances within the party’s establishment, Brazile now says that her own “lack of civility in the heat of battle” has left her humbled and that she wants to open up discussions with conservative-leaning Fox News hosts and viewers. Poor @FoxNews for sponsoring a debate with four candidates with no chance of winning. And they have the gall to attack you. #BoycottFoxNews. 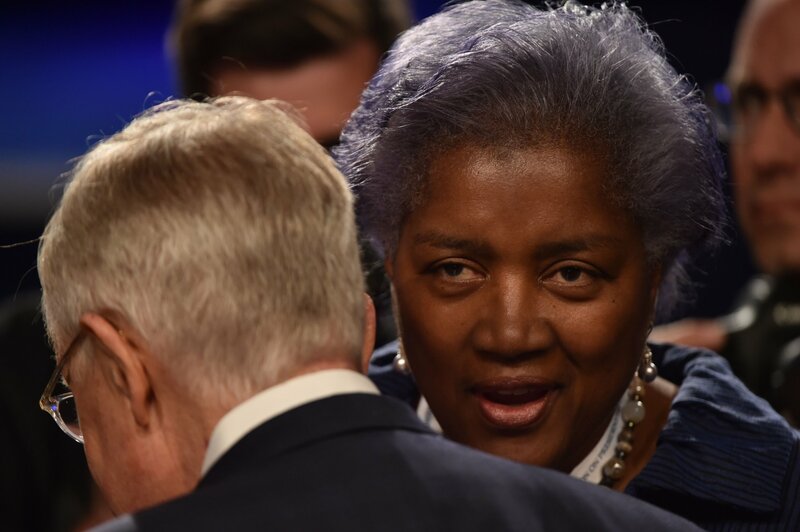 A source with knowledge about Brazile’s hiring by Fox told Newsweek the former DNC chairwoman will not be involved in the network’s 2020 presidential debates or town hall events. “In order for us to best decide as a people how to better protect and preserve our way of life, we need to first be able to hear what others are saying without the filter of bias and contempt,” Brazile wrote in an op-ed for Fox News published Monday. “Not until we once again become practiced at treating those of differing views with civility and respect can we begin to join together to solve the myriad of problems our country must overcome,” she continued. Brazile claimed in her 2017 book, Hacks: The Inside Story of the Break-ins and Breakdowns That Put Donald Trump in the White House, that she had definitive “proof” the Clinton campaign had rigged the DNC primary races against Vermont Senator Bernie Sanders. She provided details on how Clinton hijacked the Democratic Party, a complaint frequently made by Sanders supporters, even after Donald Trump won the election. However, Brazile drew the ire of Sanders backers for her defense of the party’s “superdelegates” system, saying it is essential to the nomination process. Brazile said in a statement this week she is interested in “sensible debate” while listening more and talking less in encounters with people on the Republican side. She added that she intends to “find common ground” with her more conservative counterparts on Fox News as a contributor. She has already appeared on the cable news network several times over the past year. Brazile appeared to take a swipe at the concept of so-called safe spaces in her Fox News opinion piece. A longtime Democratic operative and consultant, Brazile, 59, was Al Gore’s campaign manager during the 2000 presidential race, and she briefly served as interim chairwoman for the DNC in 2011. She reclaimed that role after Debbie Wasserman Schultz’s resignation in July 2016. Brazile acknowledged she will likely be criticized by her liberal or Democratic-leaning friends and family over her decision to join Fox but cited her newfound bipartisan open-mindedness as a reason to make the move.